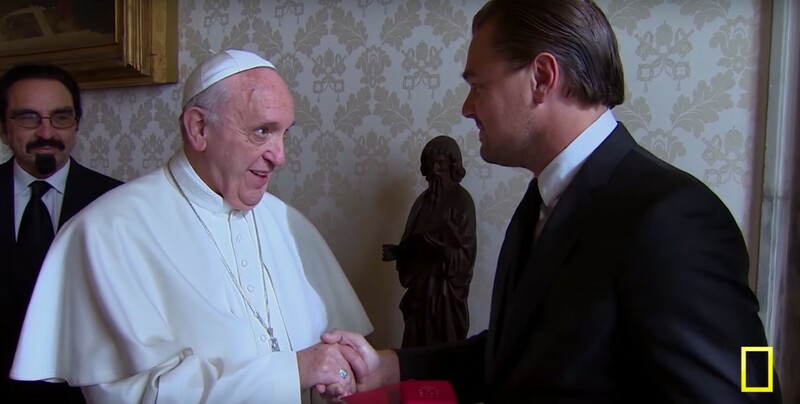 Leonardo DiCaprio’s anticipated climate change documentary, “Before the Flood” is now available for viewing. The actor and UN Peace Messenger takes viewers on a narrated visual journey around the world to witness climate change effects, meet the experts, and develop a call to action moving forward. The documentary premiered along side of new episodes of the celebrity-packed series, “Years of Living Dangerously,” which shares stories of climate change impacts. The film follows DiCaprio as he educates himself through first-hand experiences and one-on-one conversations with experts: revealing his personal relationship with global warming from a young age, navigating warming temperatures while filming “The Revenant,” and searching for how to address the most challenging problem of our age. We accompany DiCaprio as he trots the globe to witness a melting Greenland, Miami floods, India’s power crisis, and Indonesia’s forest burning. We also get an inside look at his conversations with global leaders including President Obama, Pope Francis, the energy visionary Elon Musk, and climate scientist Piers Sellers. DiCaprio’s narration weaves together stunning cinematography and high profile interviews to turn an abstract and complicated topic into something tangible and digestible for a diverse audience. For those familiar with the topic of climate change, there is little new information; it is more a chance to be in the room during intimate conversations with important decision makers and feel the enormity of the challenge in a way only a movie can. The film seems to target an audience unfamiliar with or on the fence about climate change. A well-known and highly regarded figure in American entertainment, DiCaprio’s narration serves an important purpose. He admits to his own naiveté and pessimism early on, even utilizing news clips that accuse the actor of being ill prepared for his UN appointed role. He acts as a proxy for the average American who is sympathetic to the subject but feels powerless in face of its complexity. Viewers are at his side as he earnestly asks scientists to explain, as he stands stricken in the midst of an impacted landscape, and as he searches for what to do about it. The timing of the film’s airing corresponds to its main call to action: vote to fight climate change. The film doesn’t shy from identifying political climate deniers (Trump, Rubio) and leaders that are influenced by fossil fuel payouts. The film moves from its sweeping view of vast landscapes, to a less romanticized business and security perspective that appeals to a more conservative audience. DiCaprio sits down with Harvard economist Gregory Mankiw, a noted Republican, who strongly supports a carbon tax. His interview involves easy to understand graphics and definitions of what a carbon tax would be. The film does try. Both Secretary of State John Kerry and President Barack Obama give interviews focusing on national security. Obama touches on the risks of migration from coastal cities experiencing rising seas. Kerry points to a lack of resources to tackle climate change impacts, contributing to a rise in extremism and terrorism. 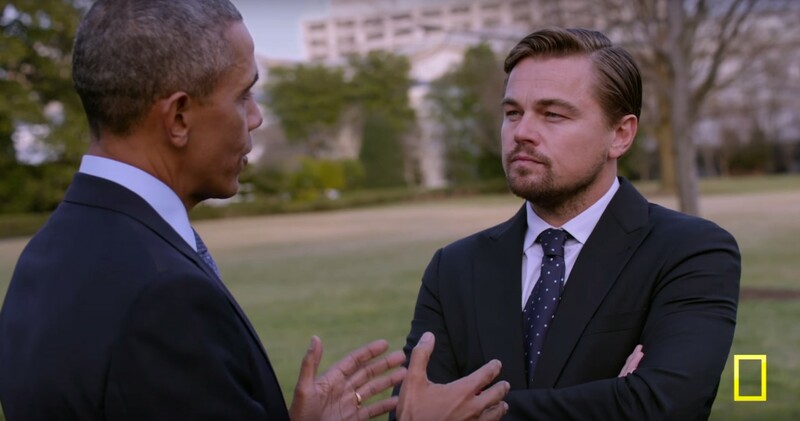 While tailored to skeptical voters this election season, DiCaprio’s journey does have the potential to move people and is a effective educational tool as well. The film invites audiences to go on a walk around the warming world with a celebrity we’d all like a chance to hang out with, giving a full picture of what climate change is, what is happening now, and how one can begin to take action.